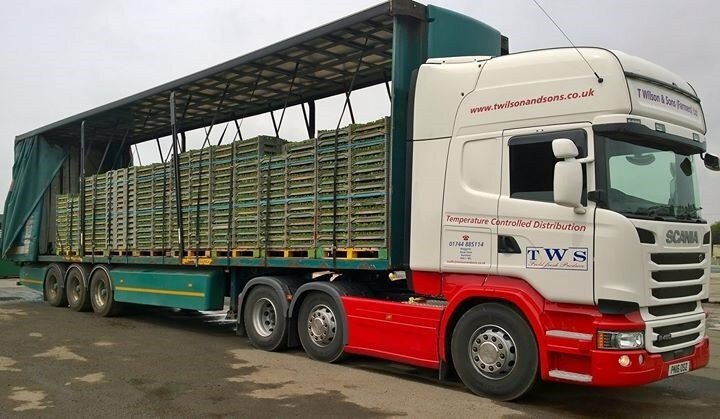 T Wilson and Sons (Farmers) Ltd are a family business in Rainford ,St Helens. Incorporated in 1976 and established as a limited company in 1977. We have been trading from the current site for over 35 years. We run all our own transport in house with the help of a small pool of dedicated sub contractors. We now are on the look out to maximize our loaded mileage and seek return loads from our delivery locations or we can offer a dedicated transport service for any new or existing clients. All trucks and trailers are tracked for security and route planning.